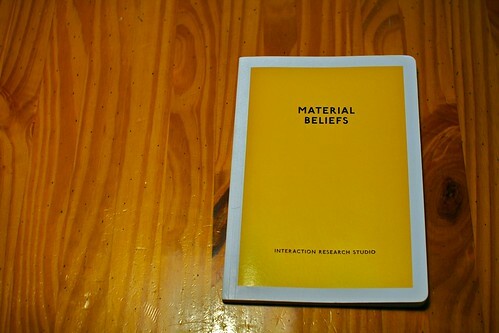 "Rather than focusing on the outcomes of science and technology, Material Beliefs approaches research as an unfinished and ongoing set of practices, happening in laboratories and separate from public spaces. The lab becomes a site for collaboration between scientists and engineers, designers, social scientists and members of the public. Alongside existing research activity such as collecting experimental data, writing academic papers and funding proposals, the collaborations lead to a parallel set of outcomes including interviews, brainstorming, drawing, photography, filming and discussion. The collaborations lead to the design of prototypes, which embed these parallel outcomes into something tangible. These prototypes are exhibited, transforming emerging laboratory research into a platform that encourages a debate about the relationship between science and society." 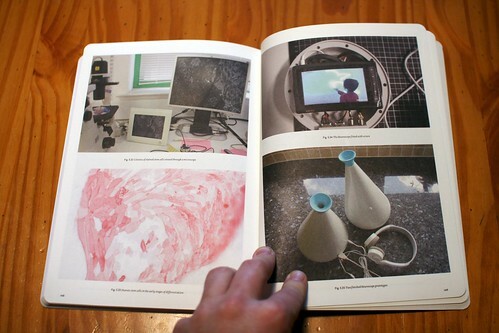 The project is summarized in a booklet that I received (thanks Tobie Kerridge! ), which is full of interesting insights (see highlighted excerpts below), interviews and project descriptions (some of them have been shown last year at the Lift09 conference). Why do I blog this? 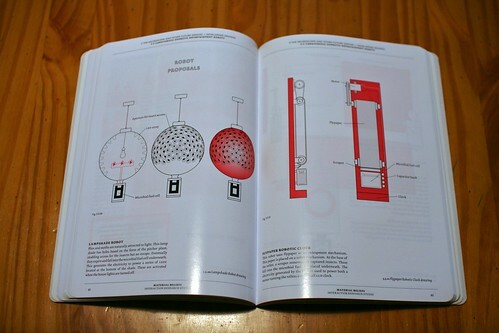 highly interesting summary of how design and scientific research can be combined. 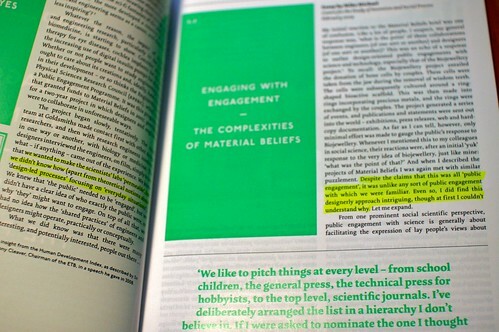 Surely some good material to reflect on in current meetings and talk about what is design research, what's research for/in/about/by design in different contexts (design schools I work for and clients). 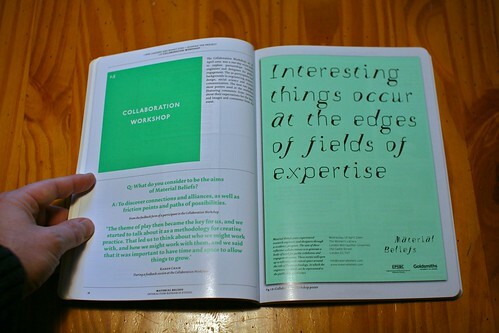 "forums because they are open spaces where groups can come together to discuss technical options involving the collective, hybrid because the groups involved and the spokespersons claiming to represent them are heterogeneous, including experts, politicians, technicians, and laypersons who consider themselves involved. They are also hybrid because the questions and problems taken up are addressed at different levels in a variety of domains, from ethics to economic and including physiology, nuclear physics, and electromagnetism." 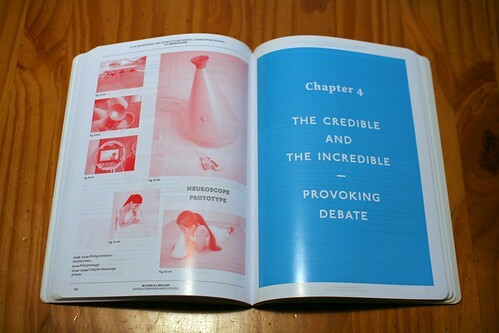 "The inspiration for this project came from the perception that the discipline of design, and more specifically the tactics employed in certain design research, might act on the many issues surrounding bioengineering technologies and public engagement as an integrating and illuminating force, by bringing very different people together and provoking debate."